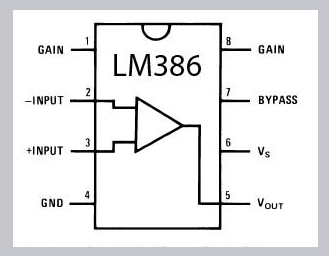 LM 386 is a popular 8 pin IC used as Audio Amplifier in hobby circuits. It is very handy and requires only a few components to make it as an Amplifier. Its output gives sufficient sound through an 8 Ohm speaker. But one problem during its working is unnecessary hissing sound through the speaker. This hissing sound becomes a nuisance in the standby state if the amplifier is gainy and the signal level is low. But we can eliminate this hissing noise by slightly modifying the circuit design.